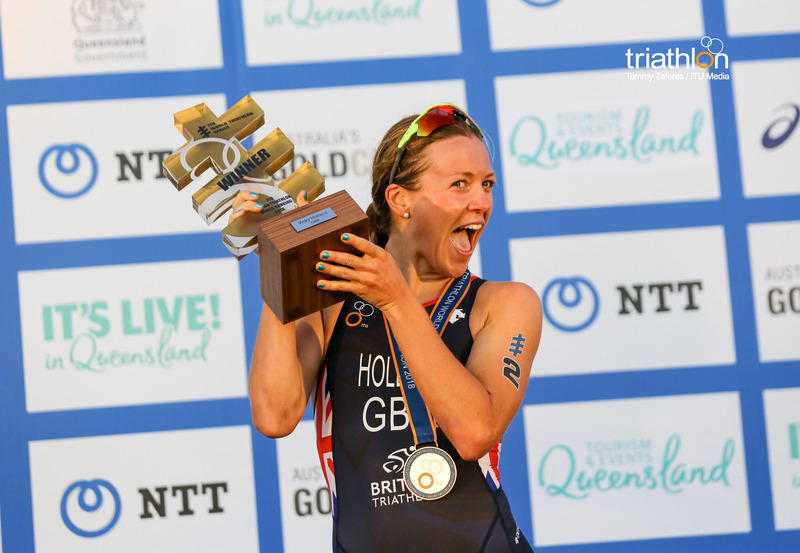 With the new year in full swing and anticipation for the 2019 Triathlon season building, it is time to take another look back at the 2018 season and honour the impressive accomplishments, stats, moments and performances that made the year such a classic. As we continue to showcase the noteworthy, the remarkable, the powerful, the inspirational and the just down-right outstanding individuals that made us all fall in love with swimming, biking and running even more than we already did, the next and very last category in the series is…. Overall Triathlete. 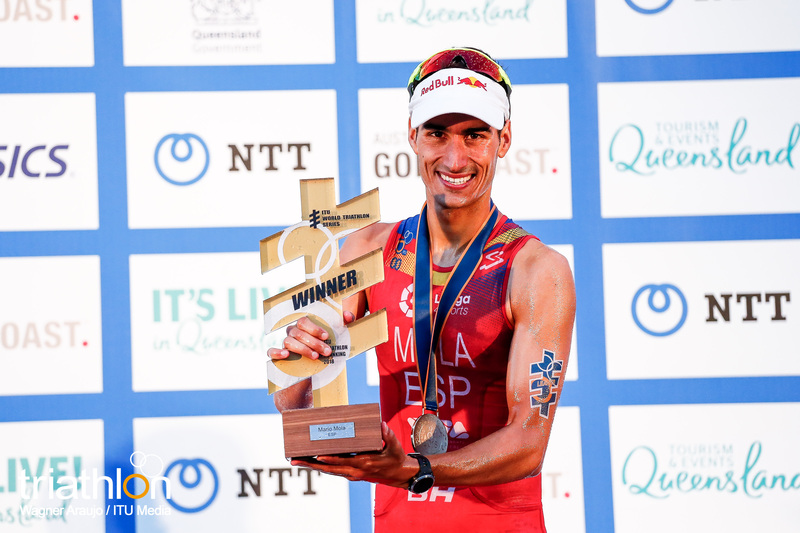 In 2018, Mario Mola once again demonstrated that he is the complete-package triathlete. He exceeded expectations in the regular season by stepping onto seven World Triathlon Series podiums throughout the year, winning four of them. Not only is he a strong swimmer and biker, he then flourishes on the run course, which is the reason why he recorded the fastest run splits of the season in both the sprint-distance and standard-distance courses. His four WTS victories in Yokohama, Hamburg, Edmonton and Montreal were also a showcase that he can succeed on both sprint- and standard-distance courses as well. He then went on to earn his third-straight ITU World Championship in the Gold Coast, becoming only the second man in ITU history to win three World Titles three years in a row. If 2018 proved anything for the Spaniard, is that he shows no signs of stopping and 2019 should be another successful year. Vicky Holland stepped up her game in 2018. She showcased her strength across the board, proving she can perform in multiple Triathlon settings. First, she started the year racing at the Cape Town ITU World Cup, where she earned her first victory of the season. Then switching it over to a Tri Mixed Relay setting, she earned two silver medals as part of the Mixed Relay team in the Commonwealth Games and in the Mixed Relay Series in Nottingham. On the World Triathlon Series front, her season was unparalleled. She stepped onto five WTS podiums, where three of them were victories. Those wins, earned in Leeds, Edmonton and Montreal, where also represented on both sprint- and standard-distance courses, so her ability to perform at each distance as a Triathlete was enforced. Another example of Holland’s strengths in performing in the multiple aspects of being a complete Triathlete was her blue carpet sprint finishes. In WTS Bermuda she won the competition by a nose and in the WTS Gold Coast Grand Final, her sprint finish was enough to earn her the World Championship crown, which was a first in her career. Holland was the one to beat in 2018, because no matter what obstacle of the swim, bike, run came into play, she conquered them all! It will be no surprise that her success will carry on into 2019 and be another noteworthy season!